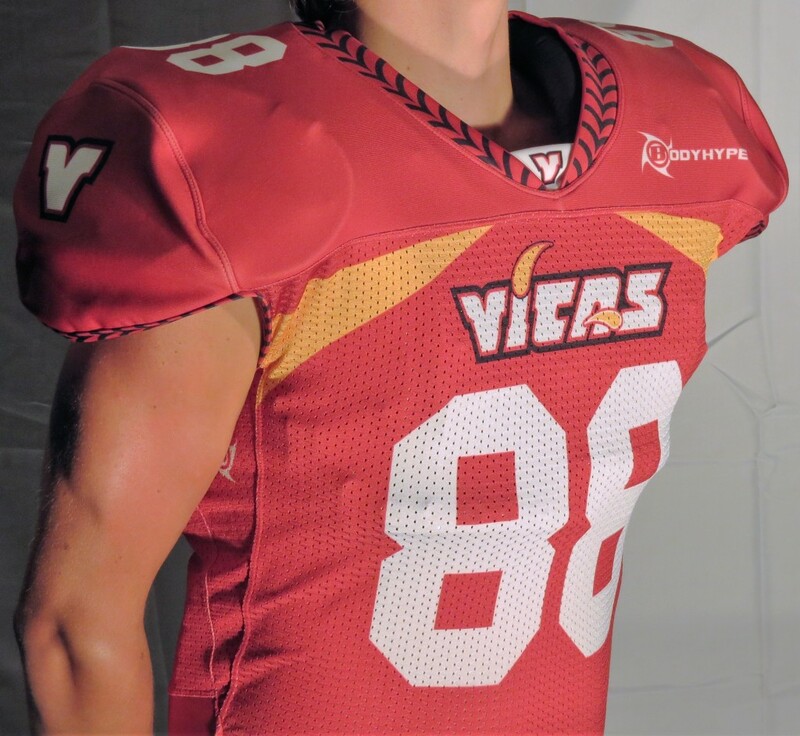 The new PRO XTREME SUBLIMATED FOOTBALL JERSEY was built and designed with the collaboration of the players, so by the players, for the players… The fit is right, the look is great and really it feels even better on you than it looks ! You look good, You play good ! Made from our unique DURA-FIT poly lycra developped specifically for BODYHYPE, the new PRO XTREM meets all technical requirements from College to Pro ! It is durable, comfortable and while sublimated maintains its bright colors and stretchebility throughout the whole life span of the garment.